Today WeSC open up their brand new store in Seven Dials, Covent Garden, London. 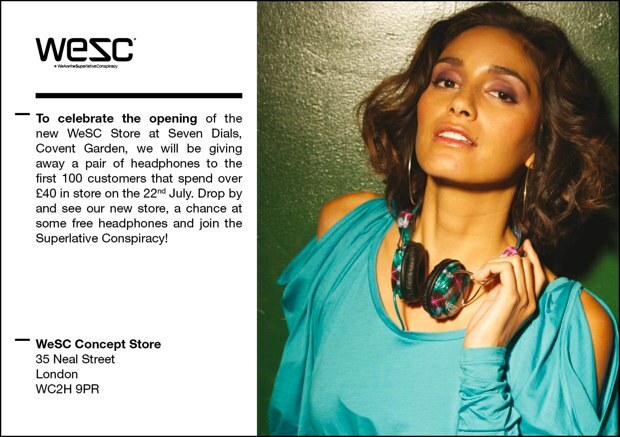 To celebrate they are giving their first 100 customers that spend £40 or more a free pair of head phones, this seems like a worthy reason to take a trip to check out the new store. This offer is today only so if you are struggling for things to do then why not head out and do some shopping. All info that you will need to find the store can be found on the flyer above.